Achieving certain movie ratings are often key to a film’s success. Many films work hard to achieve a PG-13 rating that will allow the widest audience to see a film. Sometimes the R-rating is the goal, as it makes it clear that the movie is for adults, which will hopefully bring adults looking for a mature experience. Sometimes, however, a movie is so adult that it flirts with the dreaded NC-17 rating. That’s what apparently happened to Sacha Baron Cohen’s new film The Brothers Grimsby. One scene in particular is so bad that when the actor appeared on late night TV, the clip couldn’t even be shown on screen. 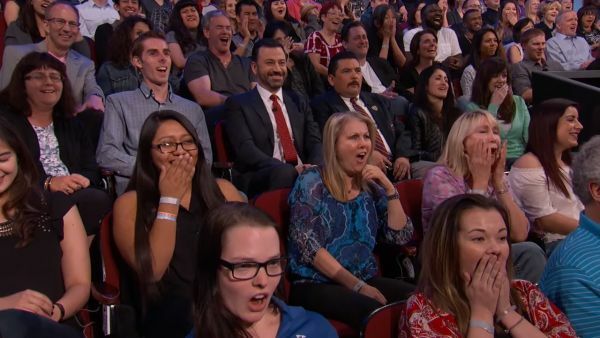 Instead we got to witness the horrified experience of an audience watching the clip. And it is hysterical. Check it out for yourself. And what’s ever crazier about the whole thing is that whatever is happening in the clip, just keeps happening. The scene goes on for a full minute and a half and if anything the audience reaction only gets worse. 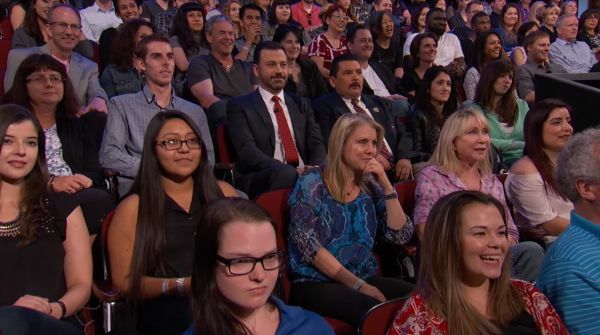 Eventually even Jimmy Kimmel, who joined the audience to watch the scene, has trouble looking at the screen. According to Sacha Baron Cohen the complete scene, that nearly earned the film the NC-17 rating was eight minutes in length so quite a bit was cut out of this, and apparently it’s still awful. If you’d like a taste of what you’re in for with The Brothers Grimsby here’s the latest red-band trailer. We’re not sure if our own curiosity will outweigh our fear at what we’re in for in The Brothers Grimsby. The movie opens everywhere on March 11. What do you guys think?